Over the past ten years, the growth of technology has rapidly accelerated, allowing for advancements across the design industry, which has evolved into a more complex and sophisticated arena. During this time, user expectations, behavior, and browsing habits have also become more sophisticated, with an ever increasing demand on businesses to deliver websites across all device types. With users becoming more digitally savvy and with the advancement of new technologies, there is increasing pressure placed upon web designers and web agencies to provide “stand-out websites” that impress on a visual and functional level. As a result of the advancements in digital, as well as the uptake of new technologies and platforms which websites have to now function across, design has become a more complex entity. Businesses are now, therefore, more inclined to want to learn and understand more about the impact websites have on their users and stakeholders. Let’s start to look at those 5 points of why UX doesn’t come cheap. The traditional method of creating a website merely based on visual design, to create the right “look and feel” is an approach which is still adopted, but by organizations either looking for a simple brochure website or those organizations with budgetary constraints. Both designers and businesses are quickly coming to the realization that to create value, conversions and ROI from a website they have to understand the needs, wants and requirements of users. To realize how to achieve this requires a holistic approach and a strategic mindset. Many businesses will admit to finding it challenging to keep up to speed with adaptations to technology and user behavior across all devices. This is where UX agencies come to the fore, by working with businesses to dig deeper into understanding the business and users wants, needs and objectives. The following model was conceptualized by a globally renowned information architect Jesse Garrett. The model helps to create perspective on just some of the elements required as part of the UX design process from conception through to completion stage. *The model above does not consider the development stage. Image credited to Jesse James Garrett (2000). The timeline for typical UX projects, aside from being at the discretion of the designer or agency in question, is in line with the size of the website, the brief and project requirements. There is no set or definitive timeline, as the length of each UX design project may even vary further based on additional complexities, ideation, or iterations from the client. If processes are applied correctly, however, the process of UX design from conception through to the completion of visual design and website launch typically runs over a couple of months rather than a few weeks. Therefore demanding a greater deal of project management than a typical visual design project. Designers have a responsibility to deliver a modern and effective UX strategy to positively impact the customer experience. Customer experience (CX) encompasses all of the experiences a customer has with your brand, with UX being a core part of CX. Although CX is a much broader consideration (an overall experience with your brand), UX can dictate the success or failure rate of CX. If a website or app doesn’t meet customer expectations or if barriers are in place, businesses are failing their customers. UX designers take data, personas, user stories and more to help make informed decisions throughout the process of creating a website. It can be argued that more traditional visual design can be more short-sighted, overlooking crucial usability factors and little underlying functionality behind the aesthetic visual design. 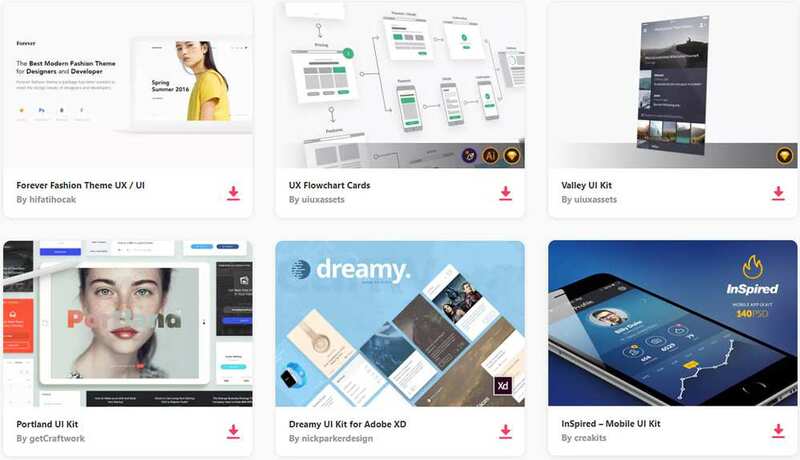 With the availability and accessibility of tools at the disposal of UX designers nowadays, a certain degree of subjectivity is being taken away from designers over the eventual outcome of visual designs. Despite users increasingly influencing the outcome of designs, this still leaves UX designers with a degree of autonomy and license to use their creative flair. How to Measure the Value and Cost of UX Design? Don’t look for shortcuts or quick fixes. Understand the value of UX design (see the 5 points within this post). Research – look for designer/agency core competencies and relative case studies. How experienced are the designers or agencies you are researching? If your website operates internationally and requires redevelopment and design from an established UX agency with an established portfolio, then setting aside under £10,000 ($14000) for the entire design and development project may risk falling on deaf ears. Rather than having a fixed monetary amount in mind for a website from the outset, it may prove more valuable to have a reasonable ballpark figure in mind at first which is commensurate with the size and scale of your business and its ambitions. Garnering quotes from designers and agencies for how much the project will cost will help you narrow down and define your eventual project budget. How serious is your business about achieving conversions and return on investment (ROI)? Having this question in mind may help when assessing how much spend to set aside for your website project.